Coverage of the NFL with some opinion takes provided. By now you have surely heard about DeflateGate and the subsequent Wells Report stemming from the controversy at the 2015 AFC Championship Game on January 18, 2015. 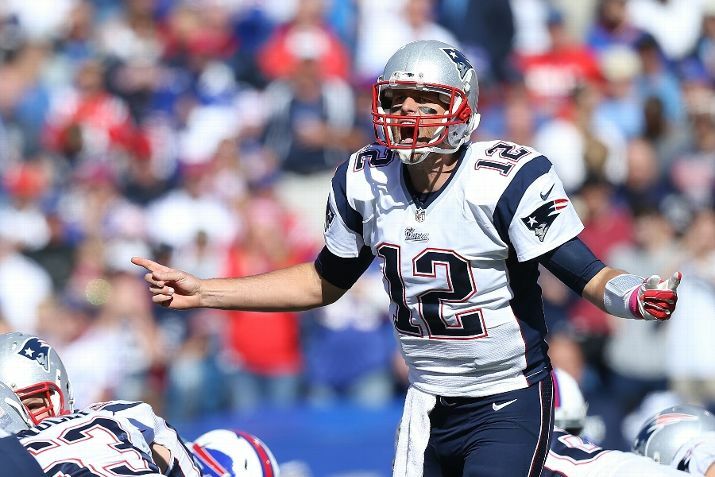 Despite the claim of New England Patriots quarterback Tom Brady knowledge of the deflated balls as “more probable than not,” there are still plenty of backers in his corner. But the real take away here is how bizarre this entire ordeal is. Why did Brady (allegedly, there was no definitive proof) encourage the removal of air? The Patriots were far and away the better team in the game. 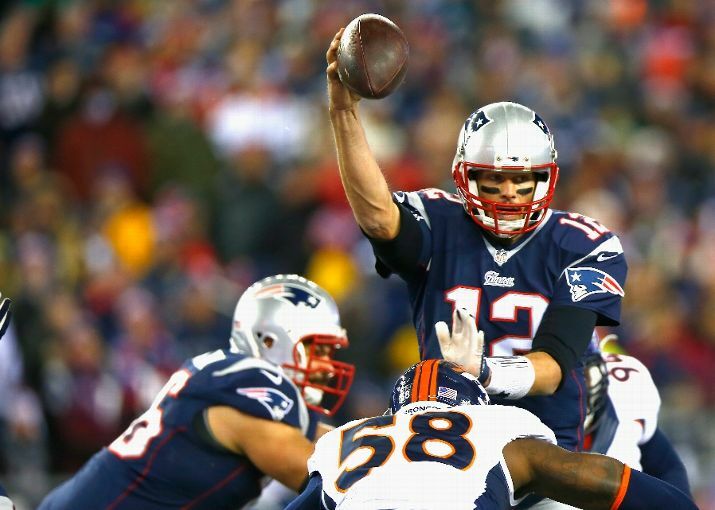 On top of that, Brady actually performed better in the second half of that game with the properly inflated footballs. That also begs another question. How long has the deflation of the footballs been going on for? A year? Since 2007 as some have suggested when Brady’s number went up dramatically? Then we had that incredibly surreal press conference by Dr. Bill Belichick in the days following the breaking of the controversy. Belichick was cleared of any wrongdoing in the report by Wells. Up next was the Patriots owner Robert Kraft demanding an apology if the Patriots were cleared of wrongdoing. Kraft will be waiting a long time for that apology from Roger Goodell. Perhaps the most bizarre part of all this was the report itself. It took over three months to compile and release the report, which just happened to be immediately after the NFL Draft. It took three months for the NFL’s “independent investigator” to find that it was “more probable than not” that Tom Brady knew of deflation? Seriously. The NFL wasted money to pay a firm for three months of work on an investigation that detailed the deflation of the footballs in the AFC Championship? That money could have been spent, well, on a myriad of other things. It is not like the NFL has high-profile domestic abuse cases with Ray Rice and Greg Hardy, a child abuse case involving Adrian Peterson, an on-going concussion controversy, or a former player being accused and found guilty of multiple sexual assaults in multiple states. It is good to see the NFL has its priorities correct. “Integrity of the game” extends well beyond the gridiron, but also into the cultural and societal circles as well, but do not tell that to Goodell. Perhaps this is not bizarre at all. It is typical Roger Goodell and his delusional crusade of “protecting the shield” at all costs when it matters the least. It would have been nice to see him do this before when he had a chance to make a real statement (i.e. the Ray Rice Case). Now, anything he does it too little and way too late. Everything Goodell does in terms of punishment for the “integrity of the game” will only be seen as way to make up for what he did not do last summer. If that is the case, how can he objectively dole out punishment? This week has already seen two playoff games go in the books, albeit on the college level, but that means the 2015 NFL Playoffs are ready to kick into high gear. There will be four games this weekend with 2 on Saturday and another 2 on Sunday. 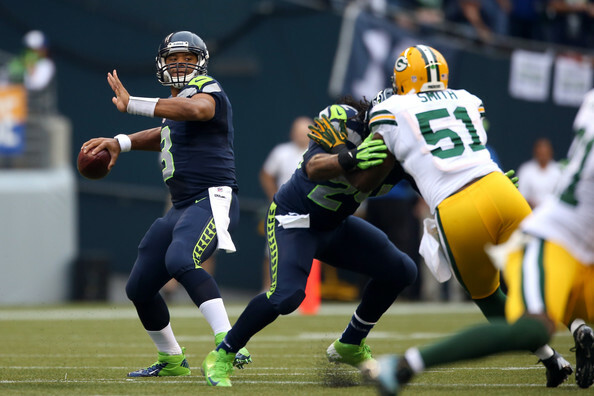 Let’s take a look at the 2015 NFL Wild Card Predictions. This game features the most controversial participant in the NFL Playoffs, the Carolina Panthers. Their record of 7-8-1 has caused loud claims of changing the seeding of teams in the playoffs. Regardless of that, Carolina still hosts a playoff game this weekend. The Arizona Cardinals started 9-1 this season before finishing 2-4. That record, of course, is due to the loss of both Carson Palmer and Drew Stanton. Stanton had a small chance of playing in this game, but Bruce Arians ruled him out this week. The reins fall to Ryan Lindley, who has produced less than stellar play in his time at QB. Lindley has gone 45 of 93 for 562 yards with 2 touchdowns and 4 interceptions in the last 3 games. Lindley looked the best against San Francisco with 316 yards passing and 2 touchdowns, but he also threw 3 picks. The Cardinals have also seen an injury to their top running back Andre Ellington. Ellington was placed on IR in early December and Kerwyn Williams stepped in to fill the absence. He has run for 246 yards on 53 carries and caught 2 passes for 11 yards and a touchdown. Stepfan Taylor will also see a bit of action in a backup role. Meanwhile, Carolina went on quite the roller coaster this season. They started 3-2 and then went on a winless streak of 7 games to fall to 3-8-1. However, they were not out of the NFC South race and won their last 4 games to reach the Playoffs. They crushed New Orleans and Atlanta on the road while struggled at home with Tampa Bay and Cleveland. 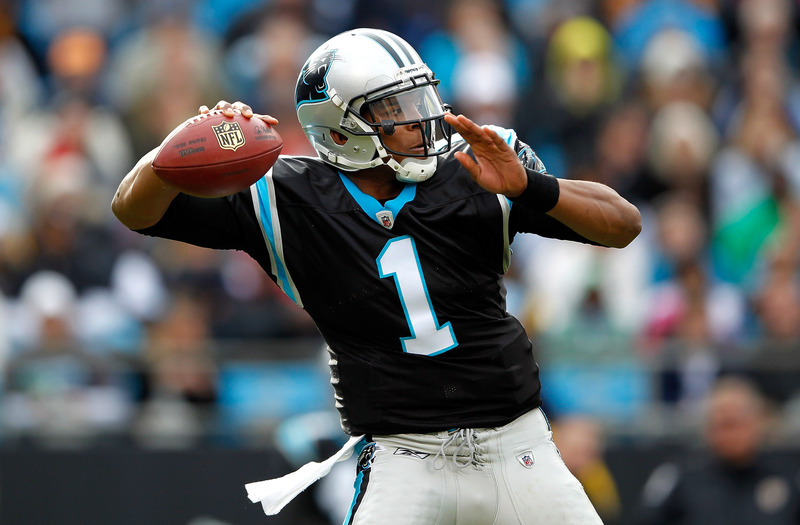 The Panthers have Cam Newton at quarterback with his dual-threat ability. Newton was plagued by a lingering rib injury in the season opener before missing week 15 against Tampa Bay after being involved in a car accident. Newton has run 103 times for 539 yards and 5 touchdowns. Jonathan Stewart will the go-to back with 809 yards and 3 touchdowns on 175 carries. Newton has 2 primary targets in Greg Olsen and Kelvin Benjamin. Both players have 1,008 yards receiving. Olsen has 84 catches and 6 touchdowns while Benjamin has 73 catches and 9 touchdowns. Ultimately, this game will come down to the defenses. Arizona averages 19.4 points per game while giving up 18.7. The Panthers score 21.2 points and allow 23.4 points. This game does not have the feel of an excellent offensive showing for both teams. The run game for Carolina will be heavily featured while Arizona’s defense is hoping to get them to the Divisional Round. Prediction: Carolina defeats Arizona 16-10. This great rivalry continues here in the Wild Card round. These two teams have met in the playoffs three times previously (all in Pittsburgh) with the Steelers emerging victorious each time. In this game, the Steelers will be missing running back Le’Veon Bell, who was ruled out after injuring his knee in week 17 against Cincinnati. The two regular season games in 2014 were dominated by the home teams. First it was Baltimore winning 26-6 while forcing 3 turnovers from Pittsburgh. The second game was Ben Roethlisberger’s second straight 6 touchdown passing performance in a 43-23 victory. As big as Le’Veon Bell’s injury will be to Pittsburgh, it is important to note that Bell had only 79 rushing yards on 21 carries in the two games against Baltimore. He also caught 10 passes for 86 yards. Still, Bell was a workhorse in the final 6 games of the season and that production will certainly be missed. It will take another big effort from Roethlisberger and All-Pro wide receiver Antonio Brown. Brown had 18 catches for 234 yards and a touchdown in the two games versus Baltimore. The Ravens have the 23rd ranked pass defense, which bodes quite well for Pittsburgh. The Ravens will rely on big efforts from quarterback Joe Flacco and breakout star running back Justin Forsett. Flacco has thrown for a career highs of 3,986 yards and 27 touchdowns in 2014. Forsett has run for 1,266 yards in 2014, which is more than double his previous season-high he put up in 2009 (619 yards with Seattle). There is little doubt about Andy Dalton’s ability to lead the Cincinnati Bengals to the Playoffs. He has accomplished that feat in each of his first 4 season with the Bengals. However, when he and the Bengals reach the playoffs, it is a different story. Andy Dalton has lost all three previous playoff appearances and has failed to play well. In fact, Dalton has gone 70 of 123 passing (56.9%) with 718 yards, 1 touchdown, and 6 interceptions. It is no surprise that Dalton has been the main reason why the Bengals have failed to win a postseason game the last three years. Then there is the fact that Indianapolis crushed Cincinnati 27-0 at home earlier this year. The Colts held Cincinnati to 135 yards of total offense with Dalton going 18 of 38 for 126 yards and three interceptions. A.J. Green did not play in that game is doubtful for Sunday’s game as well due to a concussion. The Bengals hope that running back Jeremy Hill can shoulder some of the burden and provide more reasonable down and distances that do not affect the play calling too much. The one area of concern for Indianapolis is that they were 2-4 against Playoffs teams in the regular season. Their two wins were against the Bengals and Baltimore, both at home. However, the Colts have looked better at home than on the road this season with the two losses coming against Philadelphia in week 2 and to New England in week 11. Andrew Luck has certainly improved over his first three seasons and he looks to make it back-to-back years with a postseason victory. He has thrown for 4,781 yards and 40 touchdowns in 2014, both career highs. He should have some success against the Bengals who rank 22nd in pass defense. This is quite the intriguing matchup because playoff wins have been hard to come by for both teams. Dallas last won a playoff game in 2009 against Philadelphia, but prior to that, they had not won a playoff game since 1996 (Wild Card win over Minnesota 40-15). Detroit, on the other hand, has not won a playoff game since the 1991 NFC Divisional Round against the Dallas Cowboys. Detroit is 0-7 since that victory with the most recent appearance being a 45-20 loss at the New Orleans Saints in 2011. This game features strength on strength. Dallas boasts the second best rushing attack at 1471 yards a game led by DeMarco Murray while Detroit has the best rushing defense allowing only 69 yards a game. The Lions are led up front by tackles Ndamukong Suh and Nick Fairley. Then there is the matchup of all-star receivers Calvin Johnson and Dez Bryant. Johnson has 71 catches for 1,077 yards and 8 touchdowns while Bryant has 88 catches for 1,320 yards and 16 touchdowns. Bryant has been amazing in the last three games with 15 catches for 286 yards and 6 touchdowns. Do not sleep on Golden Tate for the Lions who is the leading receiver. He had 99 catches for 1,331 yards and 4 touchdowns in the regular season. It would be remiss of yours truly not to mention how well Tony Romo has played this year. Romo’s worst games were in three of the four Dallas loses, predictably. Romo did not play against Arizona a game the Cowboys lost 28-17 at home. Part of that is undoubtedly due to Murray’s great rushing season (1,845 yards and 13 touchdowns) that has opened up passing lanes for the Romo. Prediction: Dallas wins a thriller 31-27. 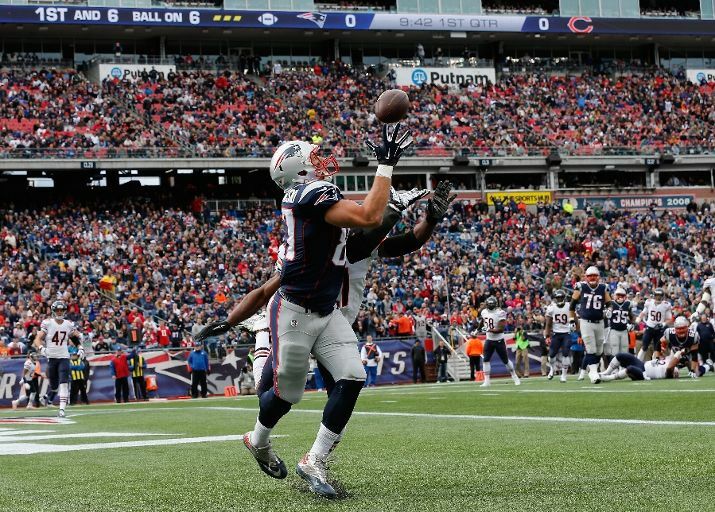 The New England Patriots have gotten back to their winning ways, but not without costs. Sources told ESPN on Monday that linebacker Jerod Mayo and running back Stevan Ridley will both be out for the rest of the season. Both suffered the injuries on Sunday in the Patriots’ 37-22 win. Mayo injured his right knee while Ridley has a torn ACL and MCL. The injury to Mayo is especially crippling to the defense that he helped strengthen since he joined the Patriots in 2008. 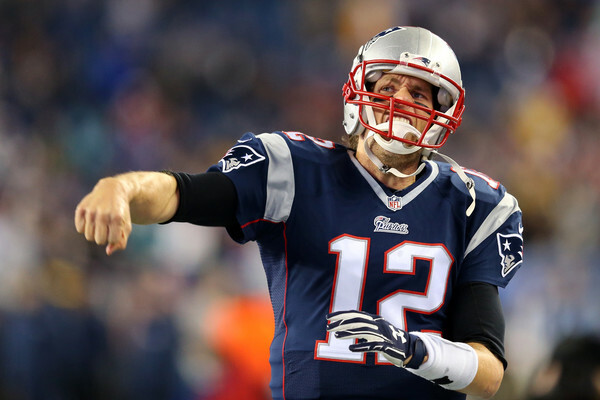 The Patriots are ranked 4th in passing yards given up with only 208.5 yards a game. The run defense has given up 111 yards a game, which is good enough for 14th in the NFL. Those rankings are prior to the Monday Night Football game between San Francisco and St Louis. Mayo had 52 tackles with one sack and a fumble recovery. Undrafted free agent Deontae Skinner will see some playing time and the Patriots are expecting Dont’a Hightower to return in a few weeks. Chris White and Darius Fleming could also see some playing time in Mayo’s absence. Mayo was placed on injured reserve in 2013 after six games due to a torn pectoral muscle. As for Ridley, he will be missed as well. He had run for 340 yards and 2 touchdowns on 94 attempts in this season. The week 5 win over Cincinnati was his best game with 27 rushes for 113 yards and a touchdown. Ridley has been a solid contributor for the Patriots run game in his first three seasons. He has a career total of 2,817 yards and 22 touchdowns on 649 rushes. 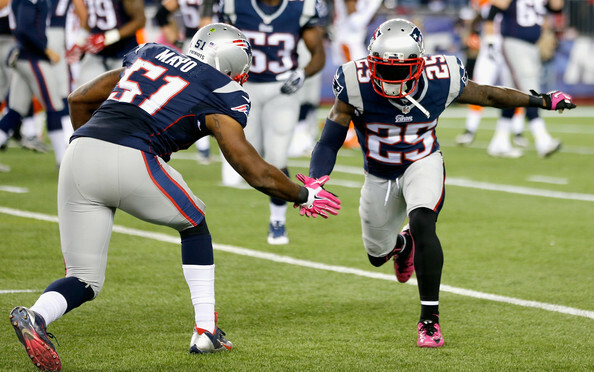 Filling in for Ridley will be a combination of Shane Vereen, Brandon Bolden, and James White. Vereen has 216 yards and 1 touchdown on 42 carries, but can also catch out of the backfield with 18 receptions for 114 yards. Bolden and White are seldom used in the backfield, but that will change with Ridley’s absence. 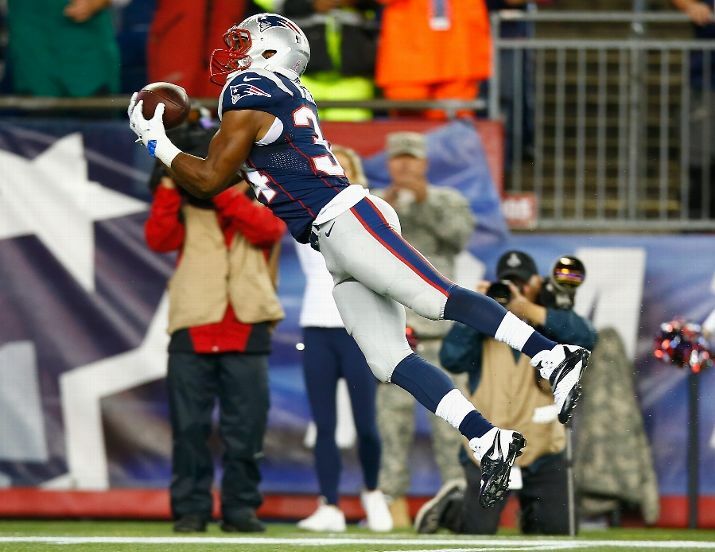 The Patriots (4-2) take on their AFC East rival, the New York Jets (1-5), on Thursday night. On Sunday, November 24, 2013 we saw the Minnesota Vikings and Green Bay Packers play to a 26-26 tie. We also saw this happen in 2012 between the St Louis Rams and San Francisco 49ers (finished 24-24 in Week 10). These both happened despite the new overtime rules which give each team a chance to win as long as neither team scores a touchdown. We almost saw the ultra rare two ties in a week happen until the New England Patriots hit a field goal with just over 2 minutes left in overtime to beat the Denver Broncos. The last time we had 2 ties in the same week was Week 2 in 1973. By the way, last time there were two ties on the same NFL day was Week 2 of 1973. 1. Adopt the College overtime rule that both teams will get a possession regardless of whether the first team scores a touchdown or not. 2. Move the starting point back to the 50 yard line for NFL overtime games. (College overtime starts at the opponents 25 yard line). 3. Give each team one (1) timeout for each overtime period. 4. Require teams to go for 2-point conversions in overtime with no extra points allowed. (In college, teams are required to go for 2-point conversions starting with the 3rd overtime). 5. Play until you have a winner, thus eliminating ties. The rules above are basically the college overtime rules, but there are a few modifications. If the NFL truly wants to make sure each team has a chance to win in overtime they might as well just move to the college overtime system. This way we can avoid the “I did not know an NFL game can end in a tie” debacle we saw from Donovan McNabb.